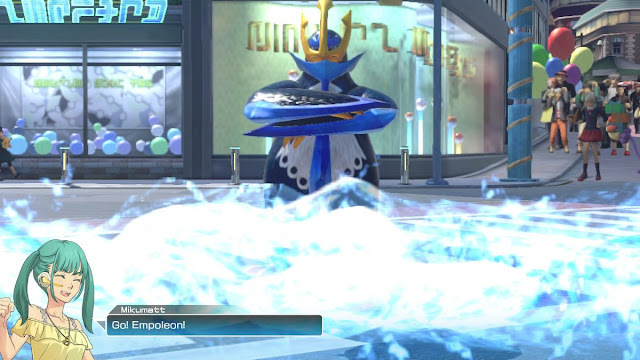 Pokken Tournament is a difficult game for me to review. Fundamentally I don’t like it much, but that’s simply a consequence of the kind of fighting games that I do like, rather than a comment on the quality of this game itself. Pokken Tournament is popular – it was one of the relative hits on the Nintendo Wii U, and it’s going to do very well on the Switch, I suspect. It just doesn’t work for me. At a very basic level, it’s a 3D fighting game featuring a couple of dozen various Pokemon. Each fighter is an approximation of their counterparts from the “main” Pokemon JRPGs; Charizard and Gengar, Mewtwo and Pikachu all have movesets that look and feel appropriate to that character. Each fighter also belongs to one of a couple of different categories – speed, technique, power, and these affect the strategy that you need to take into battle with that Pokemon. Then there are the partner Pokemon that you need to consider. You take two into each battle, with each having different effects – some directly attack the opponent, others will give your pokemon a temporary boost. You also have a person “cheering” for you from the sidelines, and their cheers can provide benefits between rounds in battles. Finally, after battles your Pokemon will get experience, and on each level up, you can improve one of a couple of different statistics. If you want to be a glass cannon, and focus entirely on making a few hits really count, you can dump all your statistics into your pokemon’s attack statistic. Or you could play a more patient game and wear down your opponent via attrition by boosting your character’s defence statistics. If this all sounds like an awfully complex structure of systems before the battling itself even happens, that’s because it is. 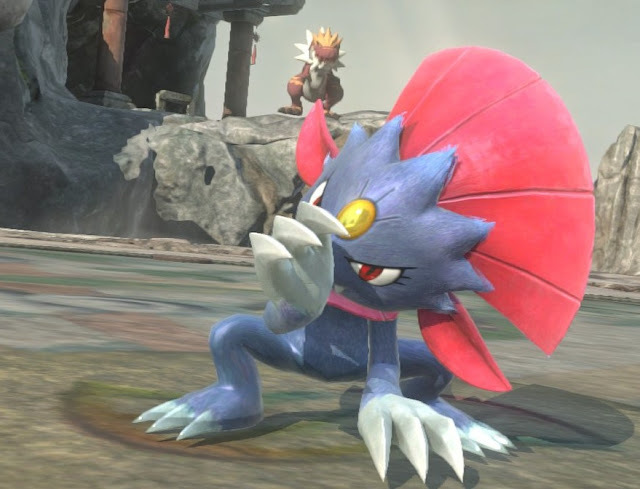 Insofar as the “meta” goes, there’s an awful lot to consider in Pokken Tournament, and actually finding your ideal set-up mix of pokemon, support, and statistic is a process that will take some experimentation. 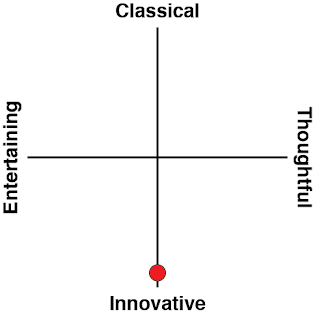 The benefit to that complexity is balance. As far as I can tell it’s possible to every pokemon effective on the battlefield, once you build the right support strategies around it. There might be some pokemon that are better in the professional scene, but I’m not going anywhere near that. For more casual play, once you and your friend understand the basics systems well enough, any pokemon is fair game. On the battlefield itself, this came comes to us from the same company behind Tekken, and though they don’t play the same, there’s hints of heritage in there. Each battle starts out in full 3D, but with certain attacks, the game will shift to a 2D perspective, where both pokemon will do more damage, and the stakes are higher. 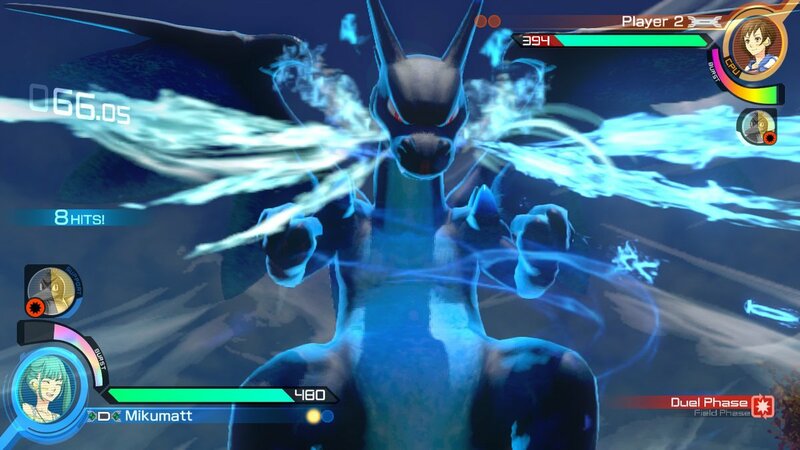 Understanding how to shift into and out of this 2D state is key to the strategy of Pokken Tournament, and button mashing won’t work on any level; this is a game that demands precision, timing, and a deep understand of the character you’re in control of. Where it doesn’t sit well with me is in flow. I like my fighting games to be very fluid and elegant in their motion. I like being able to flow attacks and counters together in a smooth, rhythmic to-and-fro, and if Pokken Tournament offers that, I haven’t felt it yet. 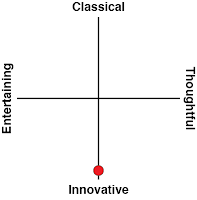 To me, it’s more a stop-start, methodical fighting game. Undeniably strategic, but not really my thing. I’ve also got an issue with how difficult it is to break out of combos. There’s nothing more frustrating than having to sit through a string of attacks and not be able to do anything about it. But, again, this is a highly technical, tactical fighting game, despite the cute pokemon exterior, and most people will enjoy the combat system it offers. Even if you’re not a big fan of playing online, Pokken Tournament offers so much that it’s hard to ignore. There’s a comprehensive series of single player tournaments that has the added benefit of getting you used to your favourite Pokemon. The local multiplayer is perfect for the Nintendo Switch, as you can bust the console out no matter where you are for a quick round or two; each player can play with a single Joycon controller, so you’ve got all you need “in the box,” so to speak. Rewards are limited, though. You’ve got an avatar profile picture that you can unlock new hairdos and costumes for, but it’s hardly the same thing as unlocking actual costumes, as you do in most fighting games. There’s a thrill to levelling your Pokemon up over time, and certainly this will be enough for most people to keep playing, but it feels oddly hollow to have a fighting game that offers so little visual customisation. 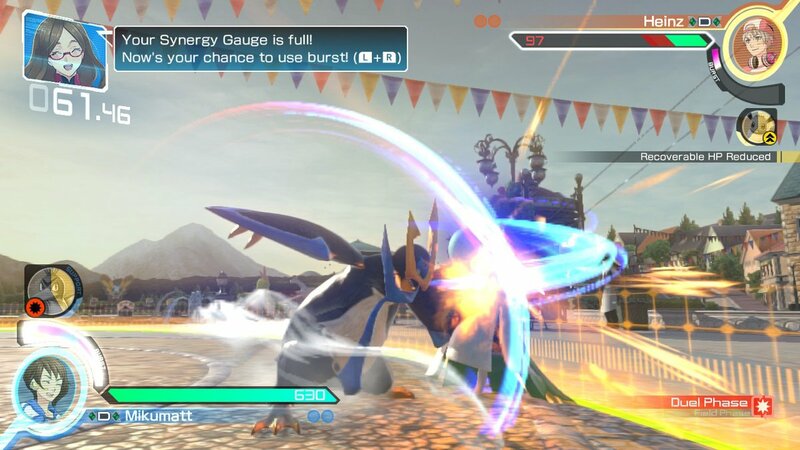 Like I said at the start of the review, Pokken Tournament isn’t really my kind of fighting game, but I do recognise that it’s a quality game, and it deserves the fans that it has. It’s odd that the fighting game about pokemon would turn out to be one of the better examples of a competitive fighting game, but the balance and mechanics of the game are just that; you’ll have a bit of fun with it if you play it casually, but the more seriously you take it, the greater the longevity that you’ll get out of it.